Our Kenosha, Wisconsin machining facility produces high volume machining runs for a number of long-term customers. 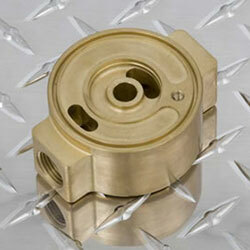 We welcome your medium to high volume machining production jobs. Upon request, we can provide kanban inventory control solutions as well as blanket order accommodation. For a quotation on your next high volume machining project, please contact us today. © 2019 Horizon Systems Machining, Inc.